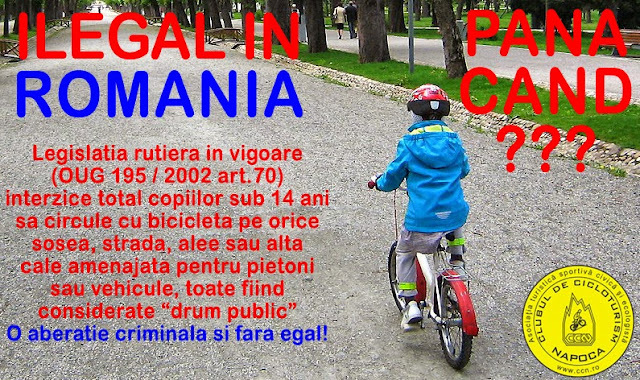 Clubul de Cicloturism NAPOCA: DE CE LE INTERZICE STATUL ROMAN COPIILOR MERSUL PE BICICLETA ? This entry was posted on 11/20/2018 02:16:00 a.m. and is filed under bicicleta , civic , copii , invitatie , mediu , protest , sanatate . You can follow any responses to this entry through the RSS 2.0 feed. You can leave a response, or trackback from your own site.